I’ve never understood why vetiver is always considered a masculine smell. I think most vetivers would smell just as good on women as on guys. 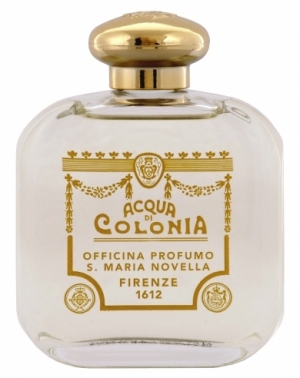 Santa Maria Novella’s Vetiver, however, is clearly in the masculine camp during the first half hour. I can imagine most women throwing in the towel after five minutes of wearing this. It starts off with a jarring blast of creosote, which smells more like a rubber tire or an oil slick than vetiver. It’s shockingly strong, but it doesn’t take long for the vetiver note to show up. This is an ultra-dry, woody vetiver, with earthy undertones. I love it! However, I doubt this is a pure vetiver perfume. I swear there’s a big slug of rosewood blended in with the vetiver. If so, the combination works brilliantly. The rosewood adds to the dryness, and injects a subtly powdery, rosy and airy feel to the whole fragrance. This is an absolutely beautiful scent, and it just gets more complex and transparent the longer you wear it. The scent loses its machismo and ruggedness the longer you wear it. By the time an hour is gone, this makes just as good of a fragrance for women as for men. If there is no rosewood in this, and this is nothing but vetiver, then Santa Maria Novella has managed to find the most complex, kaleidoscopic and high quality vetiver oil I have ever smelled. This is a one of a kind vetiver. To my knowledge, Santa Maria Novella (my favorite house) sells online retail at www.aedes.com and www.santamarianovellausa.com. I've acquired most of my collection from ebay sellers and Basenotes sellers/swappers. You should explore this house. In my opinion, it offers some of the best bang-for-your-buck niche fragrances around. If you're looking for an excellent contextual ad company, I recommend you have a look at PropellerAds. Nice, can we check sample of this ?